As you already know, in February we launched a crowdfunding campaign in order to finance our adaptive skin care project. We have already explained on our post What is crowdfunding? what the crowdfunding campaigns were like, what types there are… etc. Currently the practice is quite widespread, especially in the United States, so there are a variety of platforms where you can run these campaigns. In our case, we chose the most well-known American platform known as Kickstarter because it is the most prestigious (due to the quality controls they use in order to accept projects and for having featured products among their projects such as the virtual reality glasses that Facebook recently purchased). It integrates a wide variety of different types of projects and achieves results through a larger media impact. In reality, projects related to cosmetics or beauty products are not usually on Kickstarter (in fact, to this day only has had notable results), but our project has always attracted a lot of attention, so we decided to put ourselves to the test and we chose a fundraising goal of 20,000€ which is how much we were missing for our first production output. In the following post we will tell you about our experience and the steps we took to finally be able to reach 100% of our crowdfunding campaign goal and make our business idea a reality. First, before anything else, it is necessary to have all your essential materials prepared and ready to go. This is part of the necessary requirements for the campaign to be approved by the platform. So, we wrote the entire story of our project while providing supporting images of our products, equipment… all with an attractive design and in line with the corporate identity of Lesielle. It is essential to get the public’s attention and to get them to decide to “hear your story”. And the best way to do that is in an audiovisual way. That is why we created a professional and high-quality corporate video that, in addition to the Kickstarter campaign itself, we distributed throughout all of our social media profiles. Our objective was to transmit a very personal image, showing how Lesielle is from within. It is also essential to have your own website, since it will transmit trust. In addition, you should have an attractive design and some content oriented towards the campaign during the days when it is active. 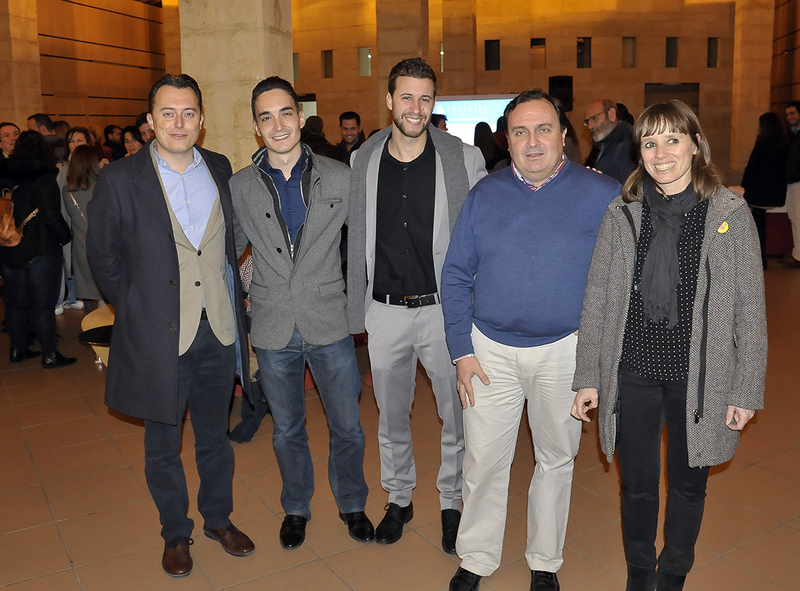 At Lesielle we took advantage of pop-ups and a form for collecting emails in the weeks before the campaign in order to collect emails of interested users so we could notify them at the time of the launch (and to incorporate our Newsletter). Another really important tip before starting any crowdfunding is to surround yourself with a good circle of people who support you: family members, friends, acquaintances, public figures, media members… And it is essential to close a “deal” with the closest ones so that during the first 1 or 2 weeks they do everything within their power to spread the word about the project, especially by spreading it and attracting people who will contribute. We don’t mean talking to people and asking them to: tell everyone they can, but rather actually getting a commitment that they will be a part of the team on those days and stay in touch in order to see how they are doing with spreading the word and what results they are actually getting. Finally, reach out to as many people as possible to get a strong initial boost. 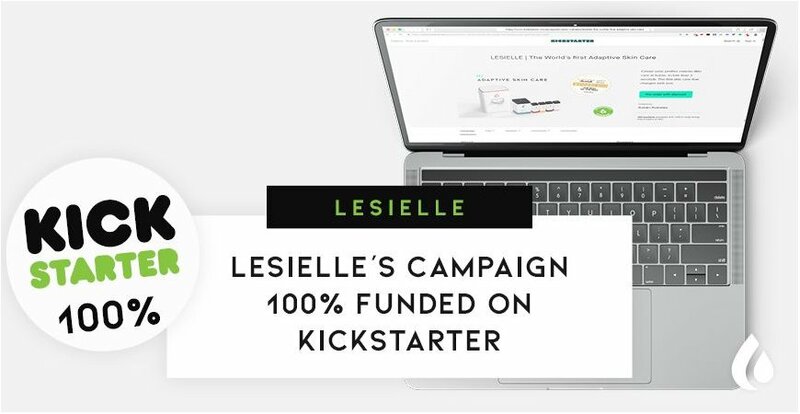 At Lesielle, thanks to this support and the emails we had collected previously, we were able to collect half of our funding goal in the first 48 hours. 1. Speech from the main leaders of the institution. 2. Premiere of the corporate video created specifically for the crowdfunding campaign. 3. Presentation detailing the entire trajectory of the project. Finally, the people should leave pretty happy and thanks to that you will be able to start the campaign on a good note. In the course of the campaign, communication is a key and important factor to being able to reach your goal in the remaining days. Before anything else it is important to send out an attractive offer and communicate it as an offer of value. At Lesielle we wanted to make an innovative product stand out, which not only provides the client with a personalized treatment but also an adaption of it at all times depending on the needs of each person. All this at an extremely low price for a totally new product. This is how we decided to offer various packs which include both the device and the treatment with exclusive limited discounts of up to 50% of the real price. It is very important to always respond quickly, completely and directly to anybody’s comments, since clarifying doubts is a key factor for encouraging anyone interested to become a sponsor for your project and to show the rest of the users that you are a responsive team that will always be present. In addition, we did a live Kickstarter session, that is, a love video in which anybody could ask whatever they wanted in order to resolve their doubts and get to know us in person. It is also necessary to massively communicate your message through different means (online and offline) during this time, especially wherever you will find your target audience. Additionally, continuously measure if your actions are working in order to repeat the most successful ones and correct the ones that are not working well. This advertising will depend on reaching some number of people, and through that, some number of interested people… which will eventually turn into supporters for the project. In our case, social media networks have been a fundamental pillar for not only helping people to learn about our product, but also the brand and the project itself (people can support for different reasons), since it is something so innovative that there are probably a lot of people who would interested in the product but do not know that it exists. In order to increase the dispersion of our content, we ran a Facebook Ads campaign with a segmented audience. In our case, in addition to a target audience segmented by demographic and social characteristics, we also created personalized lists that were similar to a list of emails that we already had (leads). During the campaign we also carried out other actions such as publishing the project on specialized pages such as Backerclub, as well as on forums and groups on Facebook, Linkedin and Google +, from different sectors for our target audience: crowdfunding, cosmetics, beauty ... etc. Last but not least, seek support in different media which repeat your news, since crowdfunding is a topic that interests them. To do this, you have to have a press release that explains the campaign and its objectives. This is how we managed to get onto several digital newspapers and in some interviews on the television and radio. Once the campaign is over, another step that we consider important is to telling about the success of the funding, the experience and, above all, thanking all those who supported the project. After these tips, would you dare to launch a crowdfunding campaign on Kickstarter?